Preheat the oven at 425ºF. 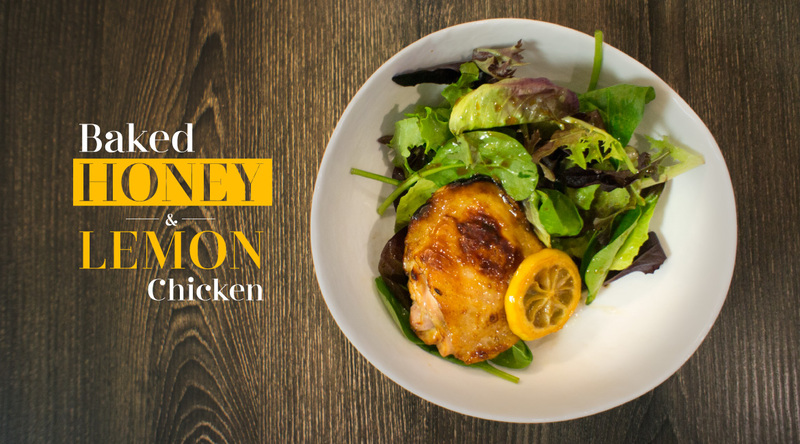 Mix sesame oil, honey, soy sauce, and 1 lemon in a separate bowl. 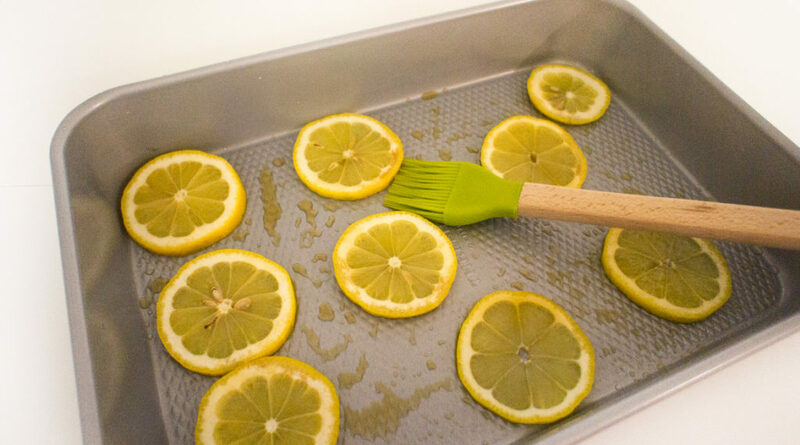 Cut another lemon in slices. Then put some slices on the tray. Add some of the sauce that is already mixed to the tray. 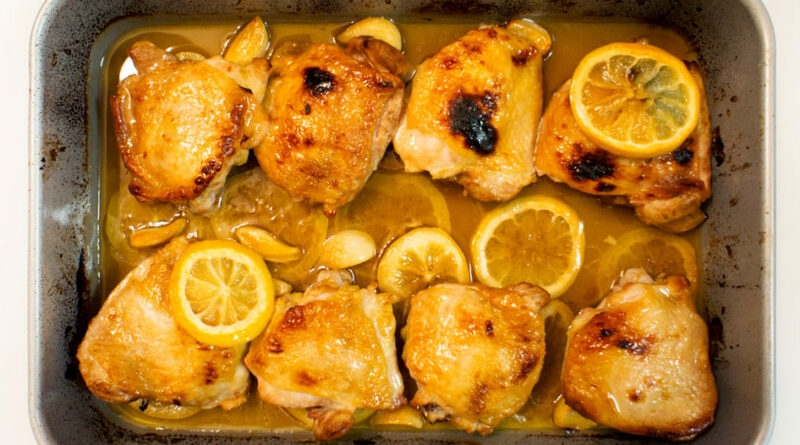 Place chicken thighs onto the tray. Put the skin side down ( we will flip them later ). Place the tray in the oven after 15 mins, flip the skin side up. Then put the tray back for another 30 mins. Done.